4450301 E15-02 LINDE E15-02 Electric forklift. Spare Parts Catalog. Service (workshop) Manual. Operator's Instruction Manual. 4450302 E16 LINDE E16 Electric forklift. Spare Parts Catalog. Service (workshop) Manual. Operator's Instruction Manual. 4450303 E16-02 LINDE E16-02 Electric forklift. Spare Parts Catalog. Service (workshop) Manual. Operator's Instruction Manual. 4450304 E18-02 LINDE E18-02 Electric forklift. Spare Parts Catalog. Service (workshop) Manual. Operator's Instruction Manual. 4450305 E12 LINDE E12 Electric forklift. Spare Parts Catalog. Service (workshop) Manual. Operator's Instruction Manual. 4450306 E12-02 LINDE E12-02 Electric forklift. Spare Parts Catalog. Service (workshop) Manual. Operator's Instruction Manual. 4450307 E14 LINDE E14 Electric forklift. Spare Parts Catalog. Service (workshop) Manual. Operator's Instruction Manual. 4450308 E15 LINDE E15 Electric forklift. Spare Parts Catalog. Service (workshop) Manual. Operator's Instruction Manual. 4450309 E15-02 LINDE E15-02 Electric forklift. Spare Parts Catalog. Service (workshop) Manual. Operator's Instruction Manual. 4450310 E16 LINDE E16 Electric forklift. Spare Parts Catalog. Service (workshop) Manual. Operator's Instruction Manual. 4450311 E16-02 LINDE E16-02 Electric forklift. Spare Parts Catalog. Service (workshop) Manual. Operator's Instruction Manual. 4450312 E20 LINDE E20 Electric forklift. Spare Parts Catalog. Service (workshop) Manual. Operator's Instruction Manual. 4450313 E25 LINDE E25 Electric forklift. Spare Parts Catalog. Service (workshop) Manual. Operator's Instruction Manual. 4450314 E30 LINDE E30 Electric forklift. Spare Parts Catalog. Service (workshop) Manual. Operator's Instruction Manual. 4450315 E35P LINDE E35P Electric forklift. Spare Parts Catalog. Service (workshop) Manual. Operator's Instruction Manual. 4450316 E40P LINDE E40P Electric forklift. Spare Parts Catalog. Service (workshop) Manual. Operator's Instruction Manual. 4450317 E10 LINDE E10 Electric forklift. Spare Parts Catalog. Service (workshop) Manual. Operator's Instruction Manual. 4450318 E14 LINDE E14 Electric forklift. Spare Parts Catalog. Service (workshop) Manual. Operator's Instruction Manual. 4450319 E14-02 LINDE E14-02 Electric forklift. Spare Parts Catalog. Service (workshop) Manual. Operator's Instruction Manual. 4450320 E16 LINDE E16 Electric forklift. Spare Parts Catalog. Service (workshop) Manual. Operator's Instruction Manual. 4450321 E16-02 LINDE E16-02 Electric forklift. Spare Parts Catalog. Service (workshop) Manual. Operator's Instruction Manual. 4450322 E18 LINDE E18 Electric forklift. Spare Parts Catalog. Service (workshop) Manual. Operator's Instruction Manual. 4450323 E18-02 LINDE E18-02 Electric forklift. Spare Parts Catalog. Service (workshop) Manual. Operator's Instruction Manual. 4450324 E20 LINDE E20 Electric forklift. Spare Parts Catalog. Service (workshop) Manual. Operator's Instruction Manual. 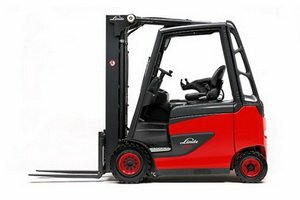 4450325 E20-02 LINDE E20-02 Electric forklift. Spare Parts Catalog. Service (workshop) Manual. Operator's Instruction Manual. 4450326 E20 LINDE E20 Electric forklift. Spare Parts Catalog. Service (workshop) Manual. Operator's Instruction Manual. 4450327 E20-02 LINDE E20-02 Electric forklift. Spare Parts Catalog. Service (workshop) Manual. Operator's Instruction Manual. 4450328 E25 LINDE E25 Electric forklift. Spare Parts Catalog. Service (workshop) Manual. Operator's Instruction Manual. 4450329 E25-02 LINDE E25-02 Electric forklift. Spare Parts Catalog. Service (workshop) Manual. Operator's Instruction Manual. 4450330 E25-03 LINDE E25-03 Electric forklift. Spare Parts Catalog. Service (workshop) Manual. Operator's Instruction Manual. 4450331 E30 LINDE E30 Electric forklift. Spare Parts Catalog. Service (workshop) Manual. Operator's Instruction Manual. 4450332 E30-02 LINDE E30-02 Electric forklift. Spare Parts Catalog. Service (workshop) Manual. Operator's Instruction Manual. 4450333 E30-03 LINDE E30-03 Electric forklift. Spare Parts Catalog. Service (workshop) Manual. Operator's Instruction Manual. 4450334 E359-02 LINDE E359-02 Electric forklift. Spare Parts Catalog. Service (workshop) Manual. Operator's Instruction Manual. 4450335 E40P-02 LINDE E40P-02 Electric forklift. Spare Parts Catalog. Service (workshop) Manual. Operator's Instruction Manual. 4450336 E48P-02 LINDE E48P-02 Electric forklift. Spare Parts Catalog. Service (workshop) Manual. Operator's Instruction Manual. 4450337 E18 LINDE E18 Electric forklift. Spare Parts Catalog. Service (workshop) Manual. Operator's Instruction Manual. 4450338 E20 LINDE E20 Electric forklift. Spare Parts Catalog. Service (workshop) Manual. Operator's Instruction Manual. 4450339 E12 LINDE E12 Electric forklift. Spare Parts Catalog. Service (workshop) Manual. Operator's Instruction Manual. 4450340 E14 LINDE E14 Electric forklift. Spare Parts Catalog. Service (workshop) Manual. Operator's Instruction Manual. 4450341 E15 LINDE E15 Electric forklift. Spare Parts Catalog. Service (workshop) Manual. Operator's Instruction Manual. 4450342 E16 LINDE E16 Electric forklift. Spare Parts Catalog. Service (workshop) Manual. Operator's Instruction Manual. 4450343 E18 LINDE E18 Electric forklift. Spare Parts Catalog. Service (workshop) Manual. Operator's Instruction Manual. 4450344 E20 LINDE E20 Electric forklift. Spare Parts Catalog. Service (workshop) Manual. Operator's Instruction Manual.